As we hear from Tony Fernandes, Founder, AirAsia India, there is plenty of the “pie” that can be catered to by the existing and new airline operators. However, he expresses caution about a lot of government pending actions which highlights the dependency of this sector on administrative regulations. The move in 2012 to allow upto 49% investment in aviation came after the sector has been under financial stress. While the immediate focus was to create access to capital, global connectivity, technology and best practices one could see the foundations were being set to lead to the entry of new airlines and a positive change in the ownership structure of current carriers. 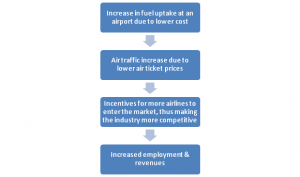 The final objective was to increase competition to lead to better offerings, greater efficiency, cheaper airfares and a power shift from the airlines to the passengers hands. With Air Asia & Tata-SIA coming, one can say that the government is certainly backing the expansion of the airline operators. However, there are still major roadblocks that the Government has got to work on such as the high taxes on jet fuel, rising airport fees, costlier loans & poor infrastructure affecting operational efficiencies. Currently, each state imposes its own level of sales tax, which peaks at 30% in some places. Jet fuel typically accounts for 25 to 35% of an airline’s operational cost, and any reduction at this end can help increase volumes. In 2013, The Competition Commission of India (CCI) had advocated the abolition of the minimum eligibility criteria for Indian carriers to launch international services and said that the norm is acting as an impediment for the Indian aviation sector. According to the regulation, every Indian carrier needs to complete five years of flying in the domestic space and needs to have a fleet of 20 aircraft to start international flights, something not practiced anywhere globally. The abolition would benefit both the new airlines — AirAsia India and Tata-SIA — who could then fly international from the very first day of their launch. Thus, there is an opportunity to cater to not just the domestic but the international air travel segment as well. This has cross-industry impact as it hits tourism as well. The Indian Aviation industry is a very complicated one filled with plenty of challenges but potential as well if tapped properly. 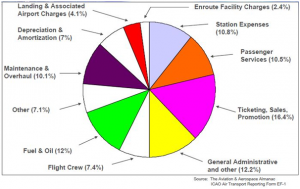 India currently has 6 domestic carriers, namely Air India Express, Air Asia, Jet Airways, IndiGo, Go air and Spice Jet. More airlines are expected to come into the country after Air Asia’s foray and the expected Tata-SIA venture into the Indian market because of the deregulation that has occurred over the past few years, particularly allowing FDI in the sector. 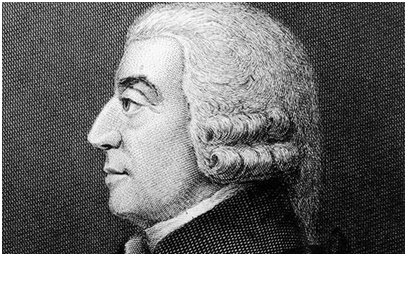 As we know – “The more the competitors, the more a firm would have to work to improve quality of their product or service”. In this case, the higher competition would lead to improvements in service times, plane utilization and lower operating expenses. Low cost carriers such as Indigo and Spice Jet with full service airlines like Kingfisher falling by the wayside. – Passenger traffic is set to almost triple from the current 159mn to 450mn by 2020. – Making India the 3rd largest aviation market in the world! – This growth encapsulates both leisure as well as business. – Airport developers can now draw on wider revenue opportunities such as retail, advertising and vehicle parking with the growth in airlines and subsequent burgeoning traffic. This would also help spread some of the airport charges across the operators. 51 new low cost airports are planned to be brought in Tier 2-3 cities over the next few years. Focus is especially on under served areas such as the North East. 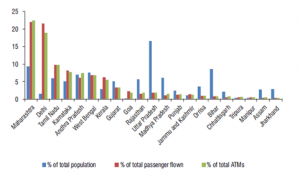 Air travel penetration levels in India have remained very low compared to other nations. The government has also reverted to the Private Partnership model for building airports across 6 cities (Delhi, Bangalore, Cochin, Mumbai, Hyderabad) and is set to expand this policy further for speedy completion of the proposed projects. This impetus to regional connectivity is going to lead to a clamour for more airline services. 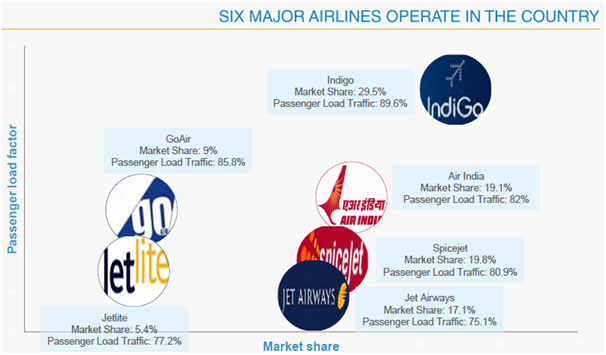 Apart from Indigo, the rest of the carriers have been posting losses over consecutive years and it remains to be seen if they can scale up to the demand keeping their financial distresses in mind. This represents a wonderful recess for new airlines to fill up in the market. 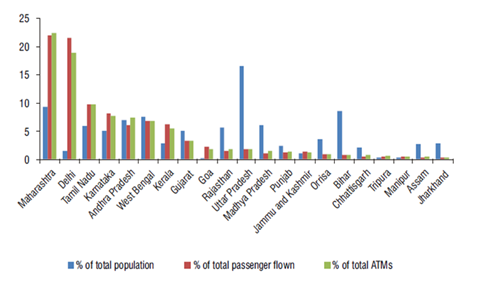 And this is exactly ­­ the opportunity being targeted currently by Air Asia with services between Tier 2 cities and dedicated services to the North East which has been targeted as a route of high potential due to the lack of proper road/rail connectivity. Treating air travel therefore as a commodity just goes to prove that 6 carriers simply aren’t enough. The reason being that the industry is still fairly nascent in the country and it has a long way to go before consolidation actually takes place. The influx of FDI in the aviation sector has now totally changed the game and the path is paved for more competition in the industry with more foreign players bound to enter soon. Higher competition can only be good for consumers as well as the industry as a whole. Foreign players have been operating for longer than most Indian domestic carriers and are further along in the learning curve. Moreover, Southwest Airlines has reportedly been profitable since its inception in 1971, becoming the gold standard for low cost airlines everywhere. 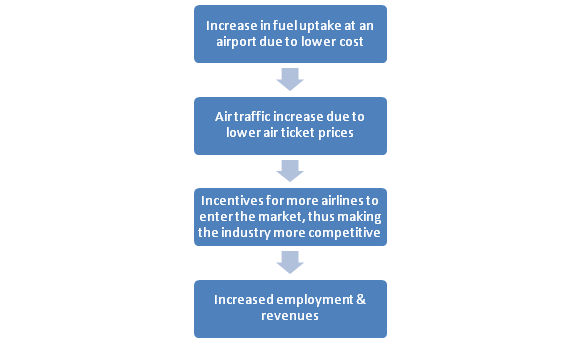 In fact, it is on their initial point-point model that the hub and spoke model of low-cost flights is modelled. They are currently even further along the learning curve than any of the domestic carriers operating in India and their years of experience would help reduce fares further for passengers. If it leads to the closure of existing players that cannot compete, that is the basis on which modern capitalist theory is based. 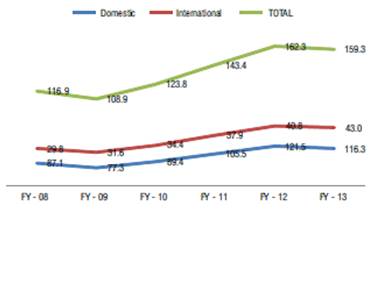 The de-regulation of the sector and allowing of FDI can only help the sector grow. Adding incentives for foreign multinationals to invest in India’s airline industry can only help pull it out of the slump that it has been in over the past few years and hopefully help bring in some global best practices into an industry that is being grossly mismanaged.